When the front fender is removed from the stock forks it may look good but you end up with a fork that twists and sways worse than a drunken sailor. 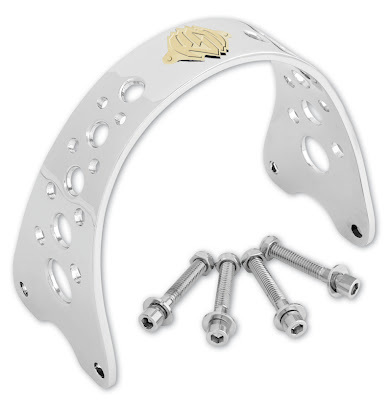 We tested this on our last ride out to Sturgis and the difference the fork brace made is amazing. 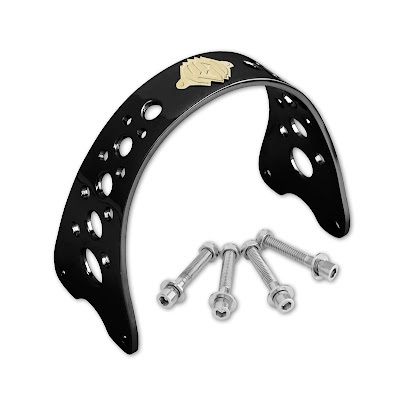 Add our front fork brace to maintain the simple and clean vintage look of running no front fender without the handling problems. 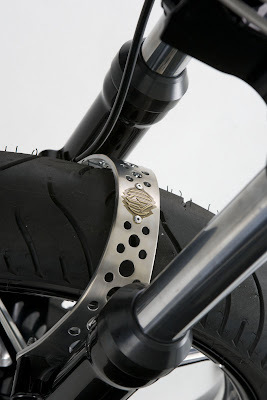 NOW AVAILABLE FOR NARROW GLIDE/SPORTSTER FITMENT!